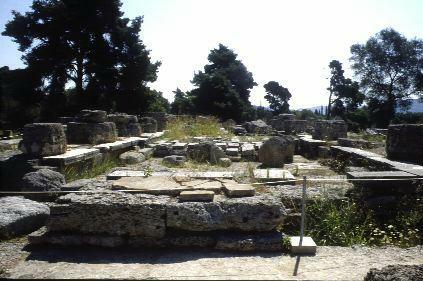 Olympia was one of the oldest religious centers in the ancient Greek world. Since athletic contests were one way that the ancient Greeks honored their gods, it was logical to hold a recurring athletic competition at the site of a major temple. 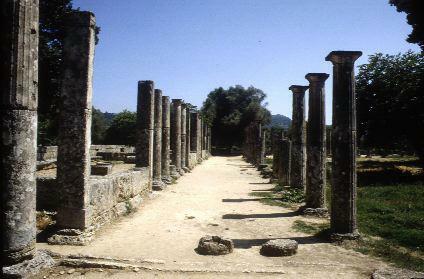 Also, Olympia is convenient geographically to reach by ship, which was a major concern for the Greeks. Athletes and spectators traveled from Greek colonies as far away as modern-day Spain, the Black Sea, or Egypt. An international truce among the Greeks was declared for the month before the Olympics to allow the athletes to reach Olympia safely. The judges had the authority to fine whole cities and ban their athletes from competition for breaking the truce. The Spartans once invaded Elis (the territory which included Olympia) after the Olympic truce had been declared. The Eleans demanded a large fine based on the number of soldiers in the advancing army and refused to allow any Spartan competitors during that Olympiad.